Apple announced the new Apple Watch Series 3 during the Apple event held at the Steve Jobs Theater on September 12, 2017. Apple has introduced the Apple Watch Series 3. The new line comes with two models – one with GPS and one GPS + Cellular features that lets you stay connected even when you’re away from your phone. Apple Watch Series 3 pre-orders begins on September 13 and will start shipping on September 22. 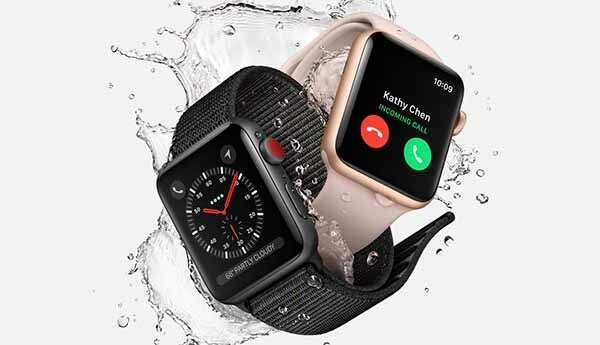 How much is Apple Watch Series 3? Base price for 38mm Apple Watch Series 3 GPS starts from $329 while GPS + CELLULAR costs $399. 42mm Apple Watch Series 3 GPS costs $359 while GPS + CELLULAR priced $429.